Kenneth W. Bush is a licensed physical therapist with interest in physical agents, orthopedic evaluation, statistics, and interactive multimedia. 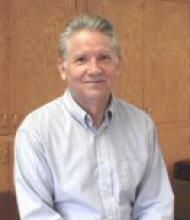 He earned his MPT in Physical Therapy from Baylor University and his Ph.D. in Education from the University of Virginia in 1987. Kenneth’s published works include “Sharing Expertise in Internet Program Development at Pacific University”, “Validity and Intertester Reliability of Cervical Range of Motion Inclinometer Measurements” and “The Statistics of Outcome Measurement”.